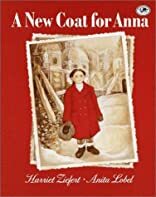 I read this book to my oldest daughter when she was five, and as a result, she requested it every night for the next six months. 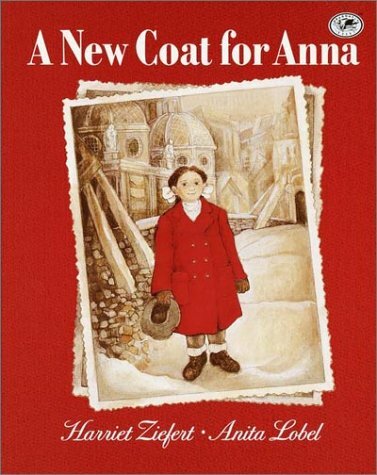 It is the satisfying story of a little girl and her mother, going through the whole process in post war germany, to obtain a new red coat - starting with finding a shepard, buying the wool, getting the wool carded, then spun, then died, then woven, then cut and sewed into a new coat, each by a different person, with each step done by barter. It hits so many different levels: what it would be like to live in a world without money, what it was like to make a coat way back when before one just bought it in a store, what it was like in some ways to live 500 years ago, what it would be like to live post civilization or pre civilization. Great book. I've always thought that if I ever win buy my hobby farm where students can come learn about farms and farm life, this would be one of my mainstays- along with some sheep to shear, wool to card and spin and dye, yarn to make cloth, etc. A beautiful lesson book, in many, many ways. A favorite to read to kids.